Tis the season for giving and being thankful! 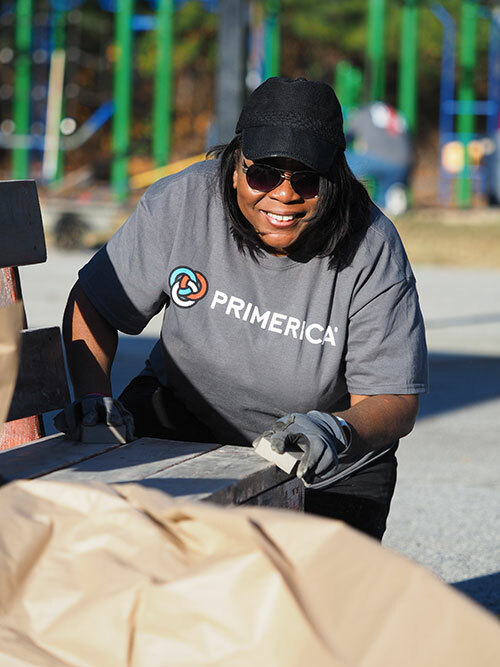 Aside from supporting the tens of thousands of field leaders across North America on their mission to bring financial literacy to more Main Street families, Primerica Home Office employees stay busy giving back to their communities. 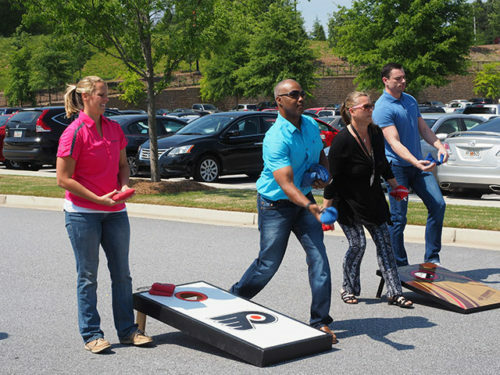 There are a variety of ways employees can give of their time, resources and talents on a regular basis at Primerica. 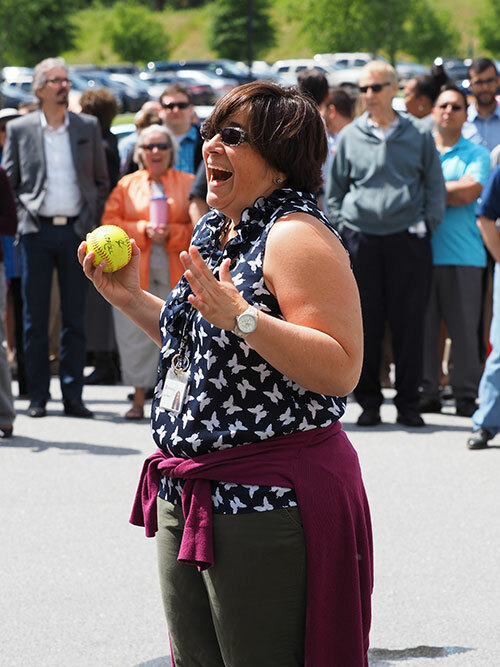 It’s just another reason our employees love their jobs! 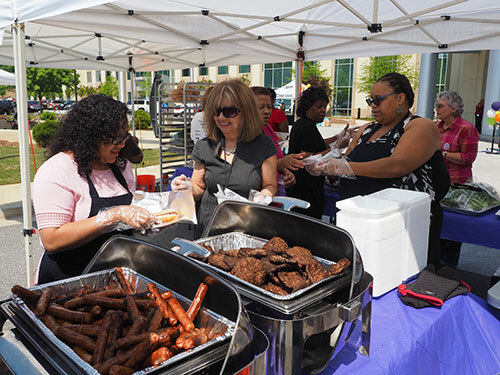 Employee Giving Campaign – more than 100 Home Office employees pledged nearly $60,000 of their personal funds to the United Way and The Primerica Foundation. Great Days of Service – 65 Home Office employees volunteered to work together to do landscaping, build a raised garden, paint benches and organize storage rooms at the Lawrenceville Boys and Girls Club. Blood Drives – Primerica employees donated 183 life-saving pints of blood to the American Red Cross over the past four blood drives. Food Drives – food drives held in Fall 2015 and Summer 2016 filled eight pick-up trucks and two 12-foot trailers. Meals on Wheels – Primerica employees used their lunch hours to deliver more than 4,000 meals to local homes to ensure that seniors have access to adequate nutrition when family support, mobility and other resources are lacking. Volunteer Day – 12 employees assisted the Gwinnett Technical College Horticulture Department to prepare their garden for planting and harvesting produce, which they sell to the community at a reduced price. 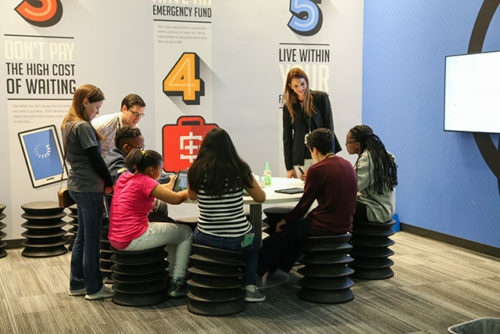 Junior Achievement (JA) – 45 employees volunteered at Finance Park in the Junior Achievement Discovery Center in Gwinnett. 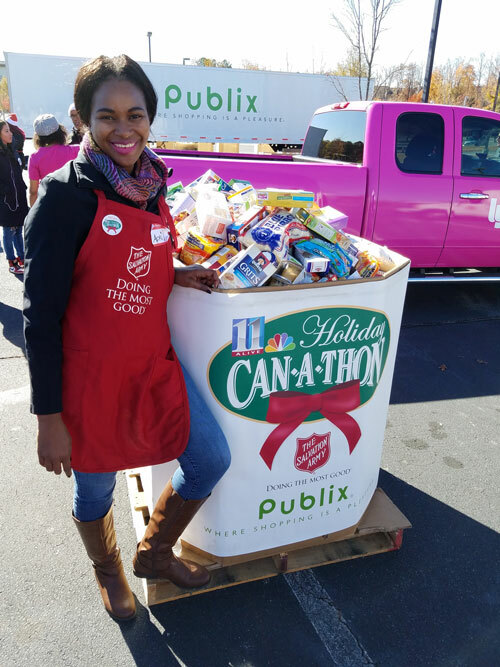 Holiday Can-a-thon – 25 Primerica employees participated in the 34th annual 11Alive Holiday Can-a-thon. Volunteers assisted in the collection of food donations for The Salvation Army food pantry. This entry was posted on Wednesday, December 21st, 2016 at 10:02 am	and is filed under Primerica. You can follow any responses to this entry through the RSS 2.0 feed. You can leave a response, or trackback from your own site.